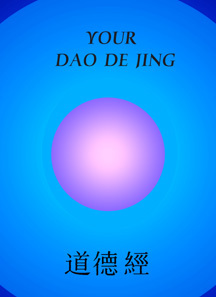 Your Dao De Jing - a new book. Your Dao De Jing (alternate spelling: Tao Te Ching) is the first book of its kind. It is a great tool for helping both students and non-students learn to translate the Dao De Jing from the original Chinese language without having to learn modern Chinese. Dao De Jing is the Pinyin spelling of a text also known as Tao Te Ching, which is an earlier spelling known as Wade/Giles. Both of the Romanized spellings are explained in this book. As another example, Laozi is the Pinyin spelling of the author of the Dao De Jing. Lao Tzu is the Wade/Giles spelling. The Dao De Jing has been revered as one of the most important philosophical and spiritual texts to have been written in ancient China, and it has been translated more than any other book except the Bible. Your Dao De Jing includes all 81 chapters of the Dao De Jing (Tao Te Ching) in an easy to read format which includes the Traditional and Simplfied Chinese characters, the Wade/Giles and Pinyin spellings, and a brief English definition for each character used in the Dao De Jing. To view a sample chapter from this book, click on the link “Sample Chapters”. One thing that makes this book stand apart from others is the inclusion of a Chinese-English dictionary for all of the characters used in the Dao De Jing. Each dictionary entry contains the Traditional and Simplified characters as well as the Seal Script, Bronze and Oracle Bone characters. Each character is broken down into its components with an explanation of those components. Also included is a brief etymology for the character, some historical and cultural information surrounding the use of the character, and a diagram on how to write each one. Another valuable part of the dictionary is the inclusion of a concordance for each character, which lists the chapter number and position of each character within the Dao De Jing. This enables you to look up the various times that a particular character was used within the body of the text for purposes of comparisons of its usage in the text. To view samples of dictionary entries, click on the link “Dictionary”. As you browse through the other links at the top left corner of this page, you’ll see that there is also information included in this book dealing with the history of the Chinese language, the various versions of the Dao De Jing (including the Guodian and Mawangdui texts), information on Laozi (Lao Tzu), and guides on learning how to deal with punctuation and grammar problems in reading Classic Chinese texts. ~Wenlin version - Preferred format for accessing all the Chinese characters and text. If you don't have Wenlin software installed on your computer, you can download a demo version at http://www.wenlin.com/ free of charge. All files in the YDDJ-Wenlin folder can be opened in the Wenlin demo. ~PDF version - All files in the YDDJ-PDF folder can be opened in Adobe Acrobat. ~It may be possible to open the files in the YDDJ-Wenlin folder into a word processing program if you have Chinese fonts installed, but some of the text may not appear. There is much information available on the internet and in other books about the origins of the Dao De Jing, many English translations to compare, and English-Chinese dictionaries. The purpose of this book is to enable anyone to come up with their own translation of the Dao De Jing without having to consult a vast amount of other resources. Anyone who has wondered why the various translations of the Dao De Jing are so different, or had a desire to delve deeper into the mysteries contained in Laozi’s work from a personal level will find this book indispensable. Your Dao De Jing was written for you, not as a vehicle for me to offer up my own translation. I hope you find it as useful as I have and that it opens up your mind, heart and body to the valuable inspirations Laozi tried to share. The Discussion forum at this site is an open message board for conversations on anything to do with Dao (Tao) or Daoism (Taoism). It’s a great place to ask questions about your own interpretation of the Dao De Jing, share your own translations based on your findings from Your Dao De Jing, or bring up any topics for discussion on any aspects of Dao (Tao) or Daoism (Taoism) including how it affects your daily life and experiences. Copyright © 2012, DaoIsOpen.com. All rights reserved.